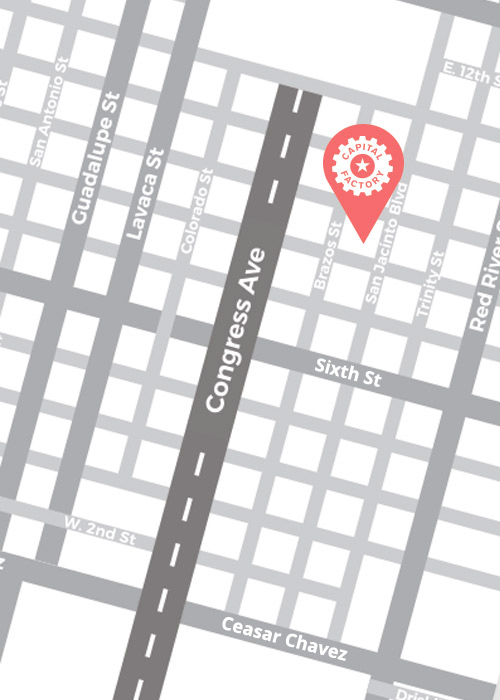 We provide access to the vast Capital Factory network to accelerate your U.S. setup and growth. Two U.S. go-to-market programs – one to meet the needs of foreign companies ready to expand, and one to support the curiosity of earlier stage individuals looking to explore. We also provide access to the vast Capital Factory network to accelerate your U.S. setup and growth. This program is based in Austin, Texas and requires the physical presence of a competent individual from your company to lead the local effort. Austin is a dynamic high-tech economy. We have Fortune 500 companies to one person starts up here in Austin. Austin currently has over 5,100 Technology Companies and over 115,000 workers in Technology. That’s 14% of all jobs and 25% of regional payroll. Austin is a Top 10 U.S. region for business and innovation. Austin has 23 Higher Learning Institutions, the most prestigious being The University of Texas at Austin. There are over 415,000 students in the Austin area. Specifically 20% of all the Computer Science graduates in the nation come from The University of Texas at Austin and the school ranks 3rd in the U.S. for most patents by a university. Due to the dense education environment we have the highly intellectual and creative Population. 42% of the population of Austin are college graduates. We host global events that the entire world comes and showcases at. South By Southwest (SXSW) is one of largest Music, Film, Technology, and Education conferences in the world. The most important aspect is the last. COMMUNITY. Austin is all about community. There is always someone willing to help out or help you get connected with the right resources. In Austin, we play as a team sport instead of competing against each other. Setting up and transacting with your business is very easy in Texas. You can have your company set up in 15 minutes. The cost of living in Texas is 30 to 60% less than comparable costs of Silicon Valley, LA, NYC, Boston or Seattle. There is no personal income tax for any of your employees or yourself here in Texas and no corporate income tax on your business, only a small annual franchise tax. Four of the Top 11 U.S Cites are within 200 miles. You have access to 27 million people in Central Texas and your customer is in those 27 million. If you can scale your business in Texas than you can scale your business in the United States. Austin is into healthy living, smart cities, preserving our environment and creating positive social impact.